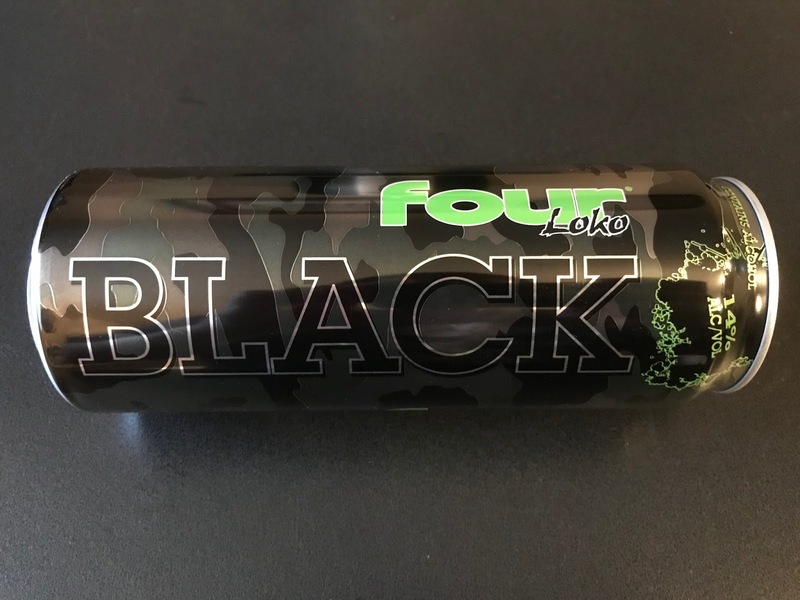 Is black the new green? 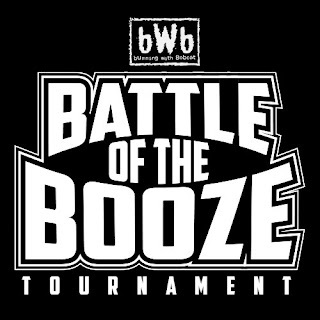 Since Stone Cold Steve Austin would not answer my tweet asking his favorite beer (other than his own Broken Skull IPA) to feature for Stone Cold Day on 3/16, instead we are celebrating St. Patrick's Day at bumwinebob.com with an all new malt beverage of the week! 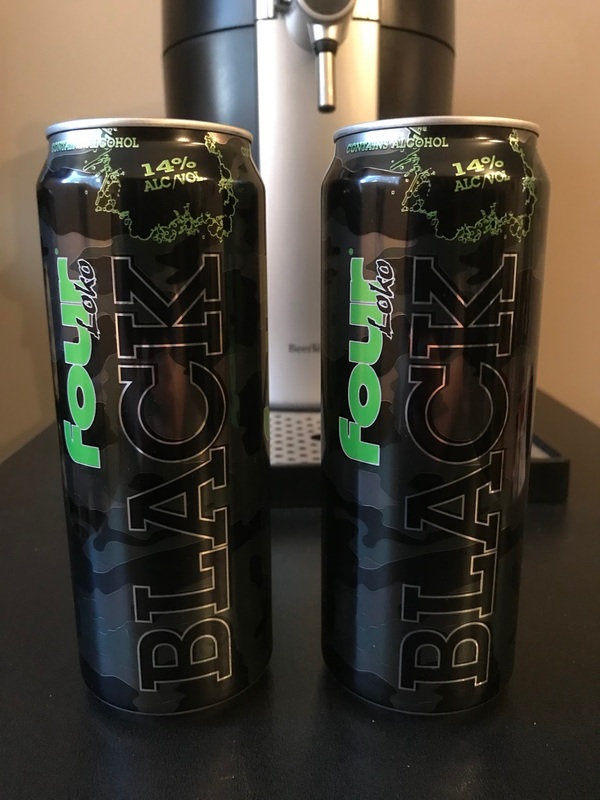 I had no idea that Four Loko Black existed until I saw it in my travels earlier today. 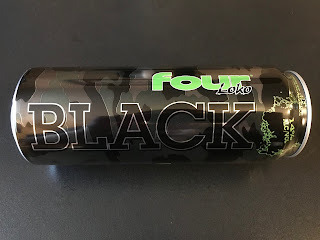 Just like Four Loko Gold, they decided to go back to the color naming convention without giving it an actual flavor as a name. I really had no idea what do expect. Would it taste like? Dirt? Eternal darkness? The possibilities were endless. When I cracked open the can I could smell a familiar smell similar to something I had drank already, so I decided to pour it in a cup to see exactly what we were dealing with. It was green. 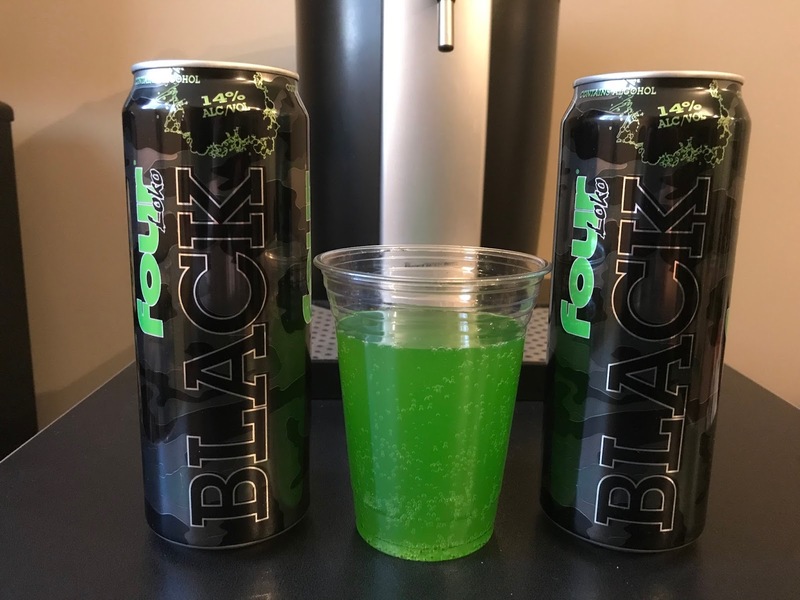 Four Loko Black was actually green. 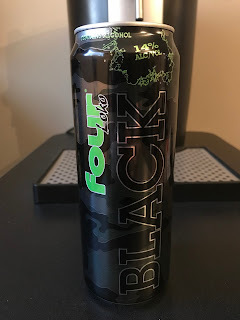 With the first sip I could tell it was their new take on an alcoholic Mountain Dew. We have already seen this before for both Thunderbird Hard Citrus Brew and Not Your Fathers Mountain Ale, but this was another try by another company to take control of my classic Thunder Dew bum wine concoction for their own profit! Don't forger that Bum Wine Bob was the citrus drink concoction innovator and the ORIGINAL! Don't fall for cheap imitations! How does it taste? It's not bad...not real good either. 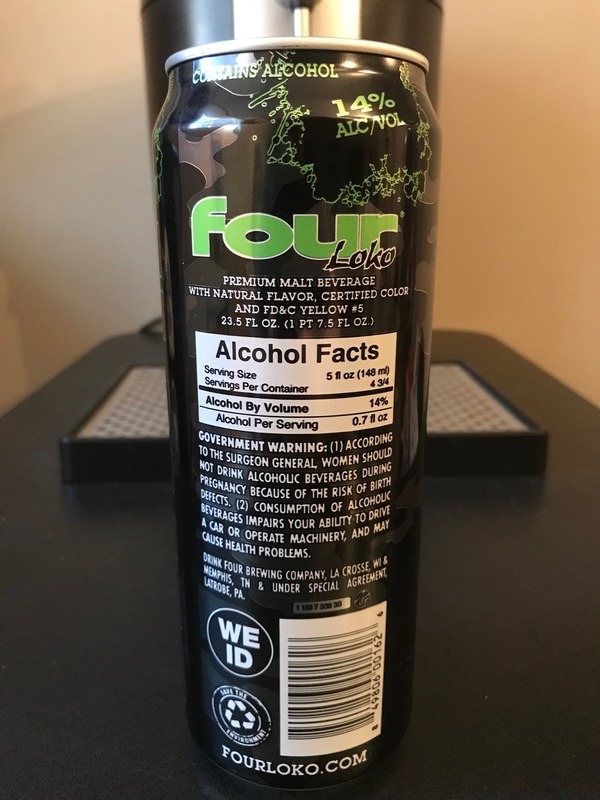 It's a Four Loko at 14% ABV, so you know what to expect. 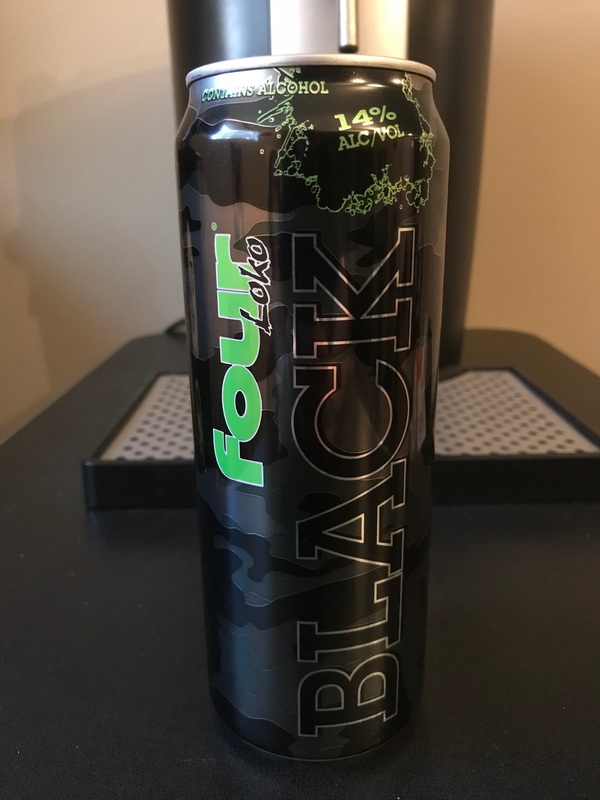 It's perfect to get a good buzz going if you start your night with a can, but after that it's time to move on. It does go down pretty smooth with no foul aftertaste, so that's a win in my book. What will you bet on? 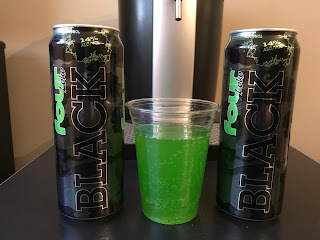 Green or black? 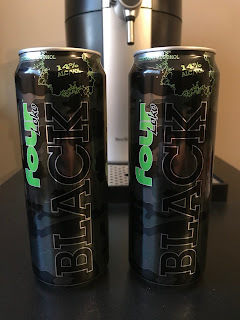 Celebrate St. Patrick's Day with a can of Four Loko Black as the bumwinebob.com malt beverage of the week! 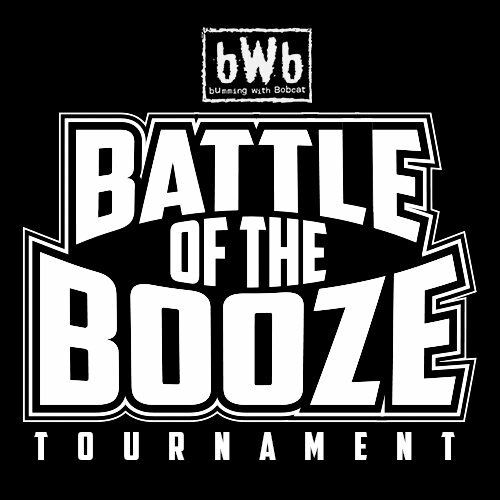 The second round in the 2018 BWB Battle Of The Booze Tournament is underway! 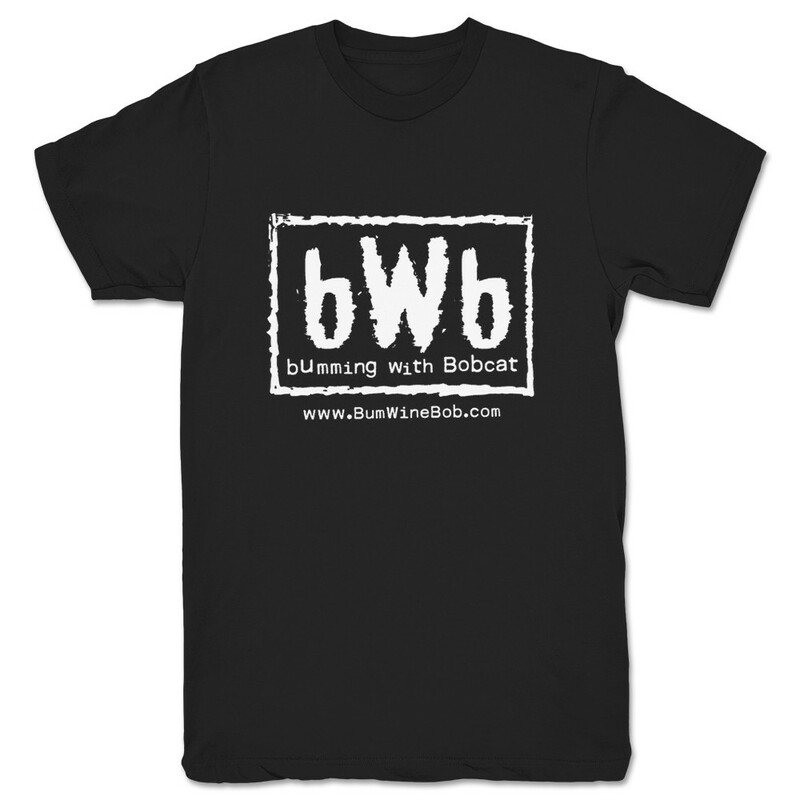 Make sure to cast your votes at botb.bumwinebob.com when the polls are open and tell your friends!